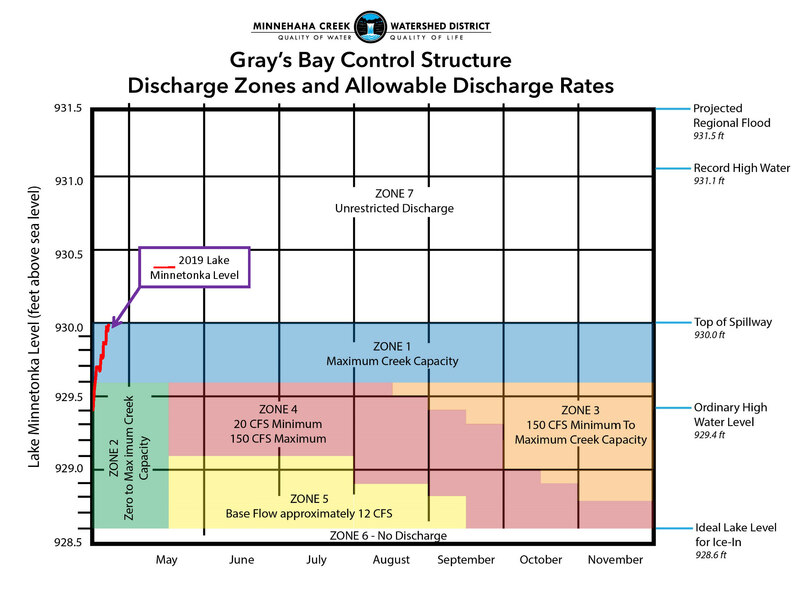 Recent rainfall on April 22 caused a slight increase in water levels. 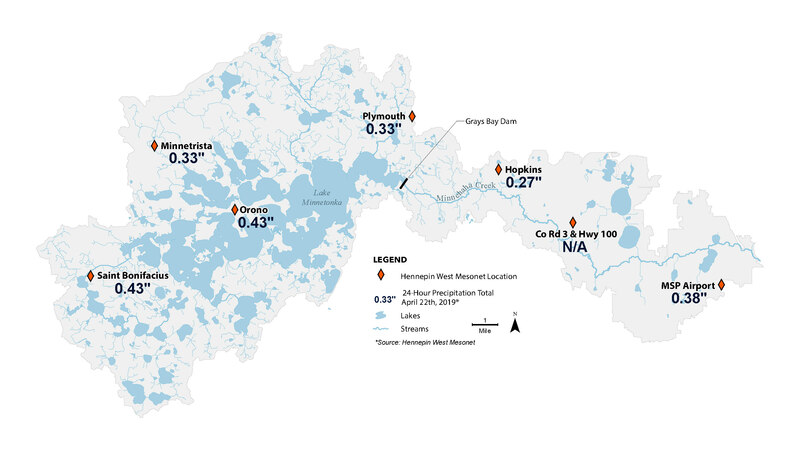 The map shows total rainfall across the watershed. Weather is forecasted to stay dry through the rest of this week before a chance of rain again this weekend. 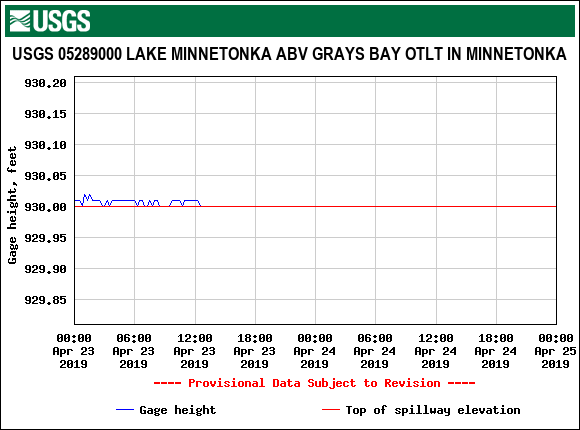 While MCWD does not regulate recreation on Minnehaha Creek, we advise that safe paddling conditions are when flow is between 75 cubic feet per second (cfs) and 150 cfs. The current flow rate is beyond our recommended safe paddling flow. The seven day forecast from the National Weather Service shows dry weather through Friday and around 0.40 inches of rain on Saturday. MCWD intends to take advantage of this dry weather by discharging maximum creek capacity out of the dam and will reevaluate the discharge as we get closer to the weekend.